Diplomacy, chivalry, and dastardly deceit in 15th century France! 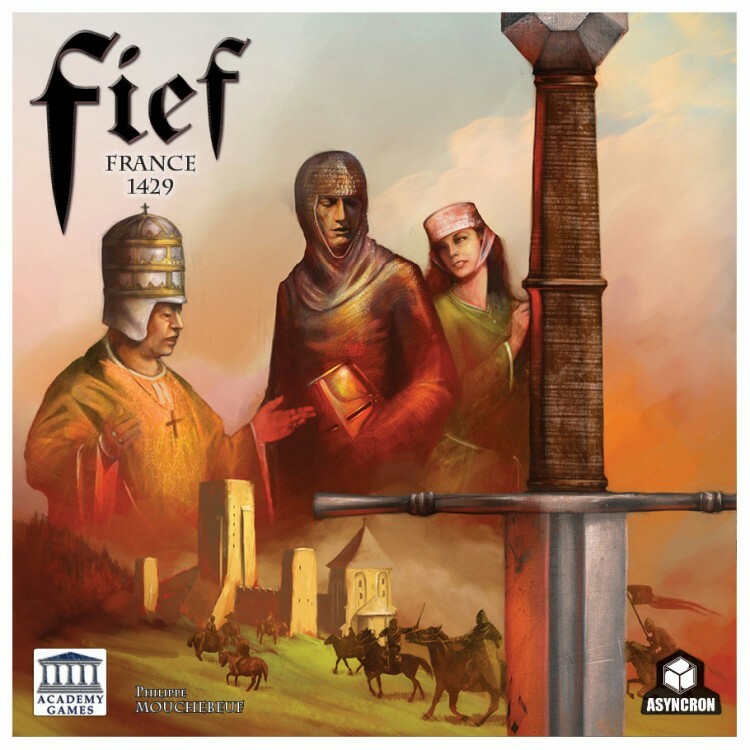 Fief is a game of dynastic ambition, where players assume the robles of nobles in the 15th century Kingdom of France. Each player strives to become the most powerful ruling force in the Kingdom by gaining control of Fief and Bishopric territories. In turn, they acquire Royal and Ecclesiastical (church) titles which give their families influence to elect the next Pope and King. Players strengthen their positions by negotiating marriage alliances between their families, setting the stage for love, treachery and deception!